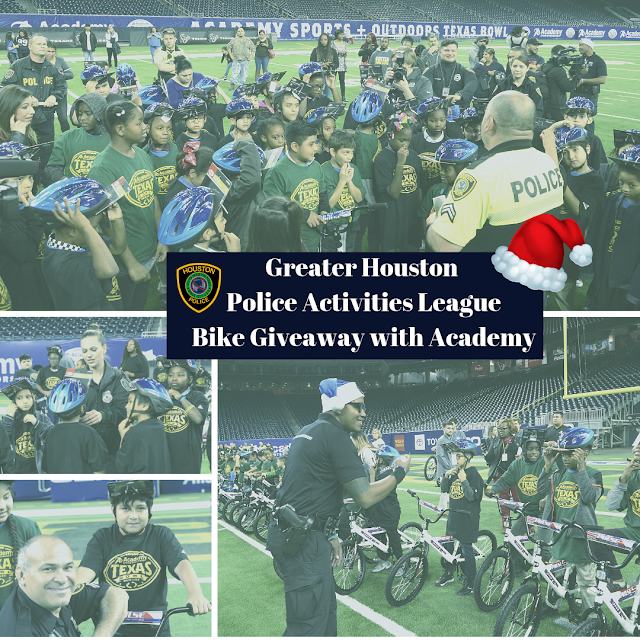 Thank you to the Texas Bowl and Academy for partnering with PAL Officers to give bicycles and helmets to 80 kids in the PAL program. The children also learned about bike safety before taking home their presents. A special thanks to the Texas Bowl and Houston Texans Jon Weeks! This is how 3500 boxes of food are created and distributed. 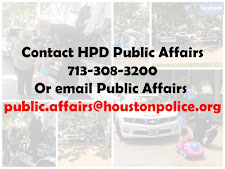 We could not do this without the contributions of generous Houstonians. 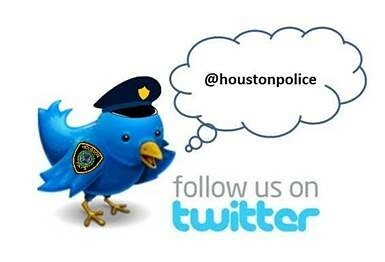 We also want to thank our partners Fiesta Mart and Pepsi. Thank you to all who helped make the 33rd annual Comida/Food Drive an overwhelming success. 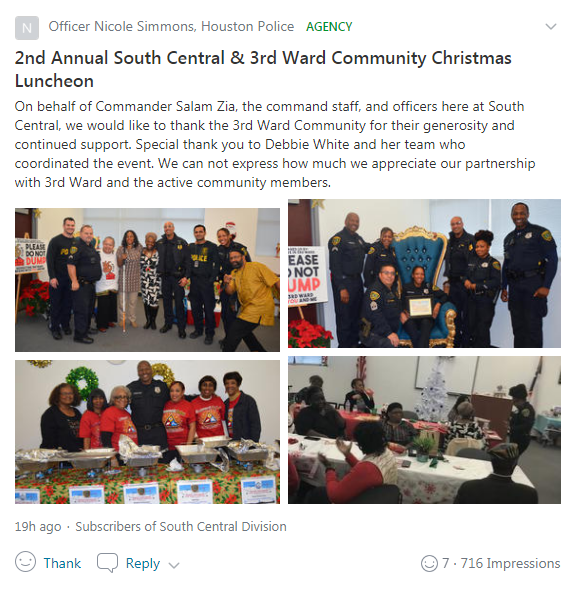 #RelationalPolicing. Officer Alejandro Maciel donated toys to the children at Sherman Elementary through the HPD Blue Santa Program. 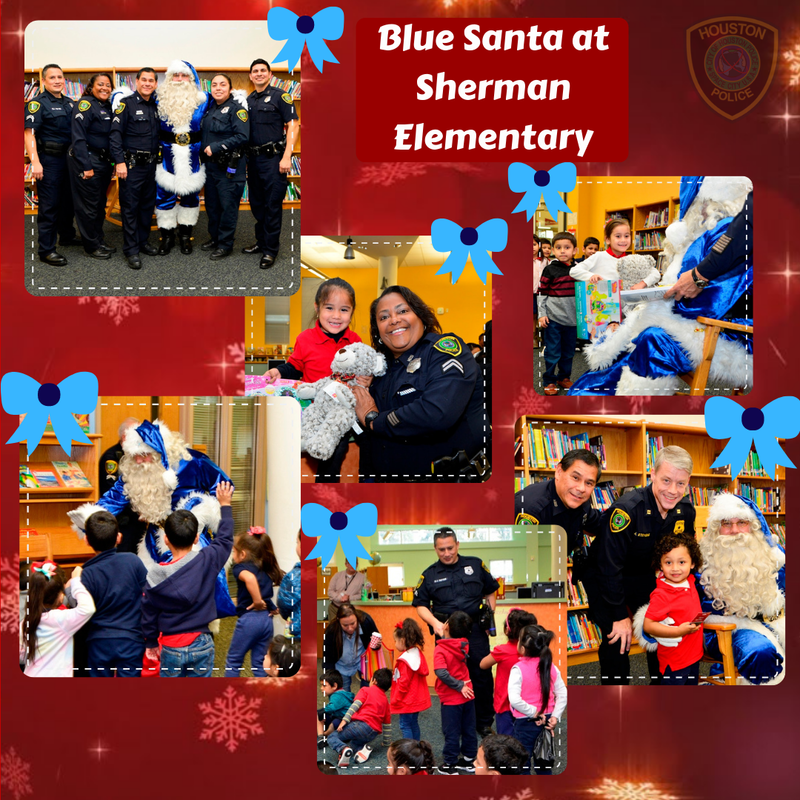 Officers donate the funds for the toys and identify the recipients through their work in the community. 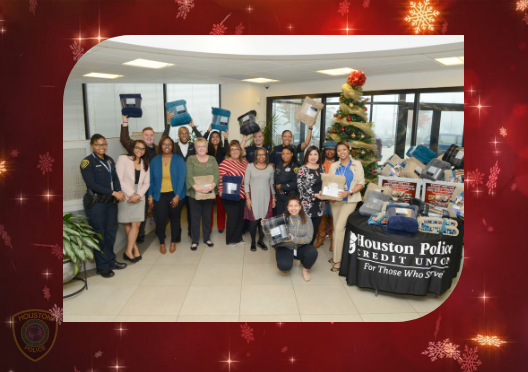 The Houston Police Credit Union donated more than $1600 to purchase blankets during our YPAC (Youth Police Advisory Council) 1st annual blanket drive. They presented YPAC members the blankets along with a check to help senior citizens in need this Christmas. 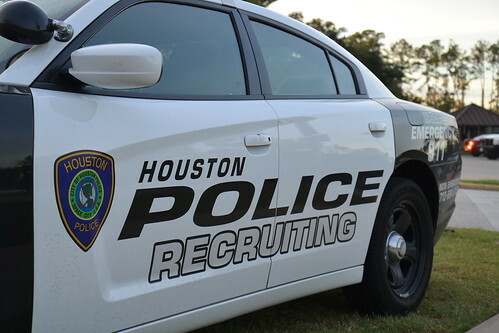 Officer Jason Knox may be the one behind the wheel, but his Oilers-blue cruiser is the real celebrity. 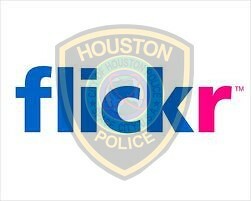 Selfies, thumbs up and lookie-loos greet the handy Houston police car aficionado everywhere he goes in the law enforcement version of the 1996 Chevrolet Caprice he patched up to patrol the streets of Space City just like they used to.